Systemic amyloidoses are caused by conformational changes and aggregation of autologous proteins that deposit in tissues in the form of fibrils. This process causes functional damage of the organs involved, and eventually leads to death, if left untreated. More than 30 types of amyloidosis are classified according to the different precursor proteins. The most common systemic form is light chain (AL) amyloidosis caused by a bone marrow plasma cell clone. Other common forms are transthyretin (ATTR) amyloidosis caused by mutations increasing the ability of TTR to form amyloid or by ageing in wild-type ATTR affecting approximately 20% of men aged 80 or more, hereditary apolipoprotein AI (ApoAI) amyloidosis highly prevalent in eastern Lombardy, and amyloidosis reactive to chronic inflammation (AA) caused by the acute phase protein SAA. In recent years, our understanding of the pathogenesis of systemic amyloidoses and our ability to treat these diseases has much improved. In our group basic and clinical research are coupled, aiming at translating deeper understanding of disease mechanisms in better patients’ care, while innovative laboratory research often stems from attentive clinical observation of patients. Approximately 3000 evaluations of patients with systemic amyloidosis are performed at the Amyloidosis Research and Treatment Center every year. The clinical center and the Biotechnology Research Laboratories are located at the Fondazione IRCCS Policlinco San Matteo (Pavia). Our group coordinates the Italian Amyloidosis Study Group, a network of more than 30 Italian research and clinical centers throughout the country (www.amyloidosis.it), and closely collaborates with all the major amyloid centers worldwide. (iv) developing and testing more effective, targeted, and safe therapeutic approaches. Novel mitochondrial protein interactors of immunoglobulin light chains causing heart amyloidosis. Lavatelli F, Imperlini E, Orrù S, et al. FASEB J 2015; 29: 4614-28. 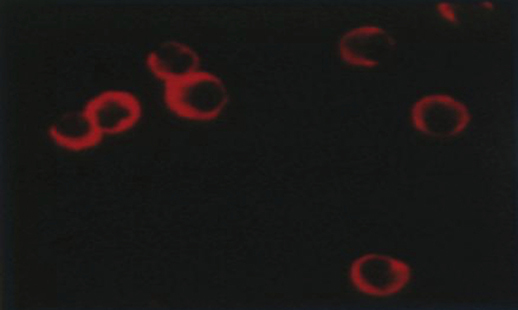 A Caenorhabditis elegans-based assay recognizes immunoglobulin light chains causing heart amyloidosis. Diomede L, Rognoni P, Lavatelli F, et al. Blood. 2014; 123: 3543-52. New criteria for response to treatment in immunoglobulin light chain amyloidosis based on free light chain measurement and cardiac biomarkers: impact on survival outcomes. Palladini G, Dispenzieri A, Gertz MA, et al. J Clin Oncol. 2012; 30: 4541-9.